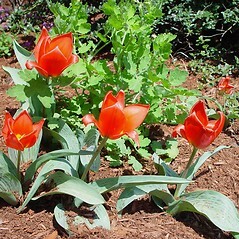 Didier's tulip probably originates in western or central Asia. 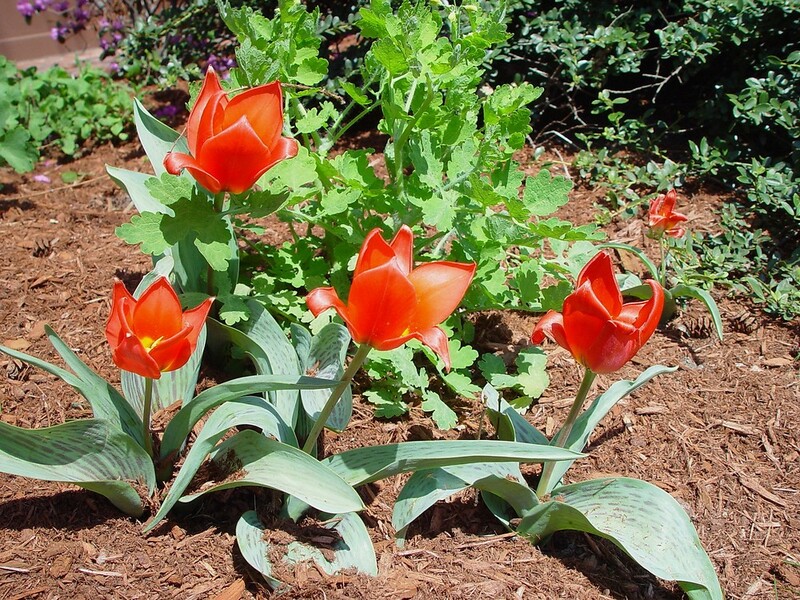 It is one of the root species that gave rise to the thousands of tulip cultivars that have been developed. 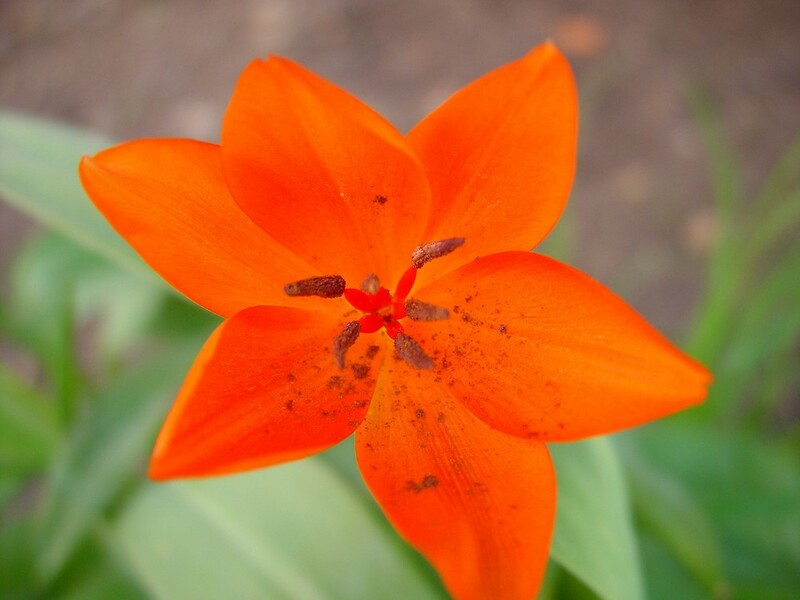 It is a rare visitor to North America, having been collected only in Ohio and Massachusetts. filaments pubescent near base, buds often nodding, and tepals abruptly narrowed at the base, the inner ones 6–26 mm wide (vs. T. gesneria, with filaments glabrous, buds erect, tepals not abruptly narrowed at the base, the inner ones 21–41 mm wide). 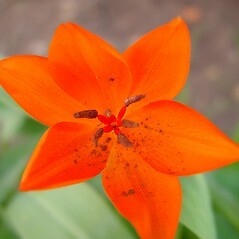 Didier’s tulip. MA. Edges of lawns, fields, roadsides, compost heaps.